Everyone expected the Dwight Howard circus to roll into Los Angeles when he was traded, though most didn’t predict the infamous Dwightmare to also hitch a ride. As we all know the Lakers have been struggling for wins in the early part of the season, and of course someone has to be blamed. 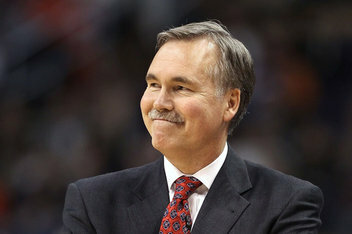 Mike Brown has come and gone, with the scrutiny now directed at their players such as Dwight and Pau. Not only is his free throw percentage poor, but it’s obvious that he hasn’t completely recovered from the back injury which saw the three-time Defensive Player of the Year miss the end of last season and the London Olympics. The absurd comparisons to Jordan’s Bulls once the new LA team was formed this past offseason aren’t even being mentioned now. Howard thought teaming up with a pair of MVPs would finally get him the ring he desperately wants, at this point that championship looks like a distant dream. Sure Nash still has to return, though the defense is the real problem. Things aren’t going to drastically improve once their 38-year old point guard returns, who’s only played a handful of games. His selfish behavior in past months is still present, with Howard not willing to take responsibility for the team’s problems on the court. Dwight needs to grow up before it impacts his legacy even more, as he’s possibly become the most hated player in the league. Loyalty doesn’t exist anymore in sport. If Howard wants to leave, he’ll leave. If he wants to be the number one guy like he was in Orlando, LA isn’t where he’ll stay. Kobe Bryant being the competitor he is, will probably play for several more seasons with the way his body’s holding up. We might see LeBron in a Lakers jersey longer than Dwight, scary I know. Teams will be lining up to sign him to huge contracts come next year and don’t be shocked if he decides to leave. Imagine a Dwight Howard-James Harden duo. Wherever he ends up, I just can’t see him being a long-term Laker. It might be a replica of Shaq’s career, where he moves from the Magic to LA and bounces around numerous teams to end his career. Tonight the Kobe and company travel to Oklahoma City to square off with Durant’s Thunder, in what could be a season defining game for Dwight Howard. The national media’s waiting for more problems to arise in Lakerland and changes could be imminent. If the Lakers fail to come together and win consistent games going into the New Year, not only will it impact this season’s outcome, but also the future of the Lakers as Howard could be on his way out the door. 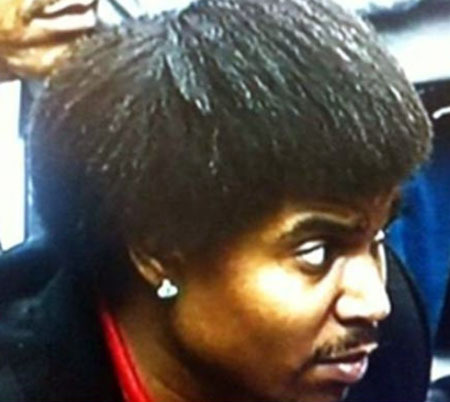 Poll: How do you feel about Andrew Bynum’s new hairstyle? He might not be healthy enough to have made an impact for this Philadelphia 76ers this season, at least so far, but that has not stopped Andrew Bynum from catching headlines for constantly changing hairstyles. At Bynum’s introductory presser for the 76ers, he came out rocking an afro. No one questioned how fresh that was. Then, midweek this picture went viral. I wish I could tell you what this is, but quite honestly I have looked all over the internet and no one in recent centuries has had this hairstyle. But hey, maybe you like it! (Big maybe I guess). So if you like it, then by all means I hope I haven’t tainted in how you will vote on the poll below. After colliding with teammate Austin Rivers in Friday’s 88-86 win over the Jazz, Hornets number one pick Anthony Davis will miss Sunday’s game against the Chicago Bulls. Davis hasn’t disapointed so far scoring 21 points and grabbing seven boards against the Spurs, and dropping eight and getting 6 rebounds in under fifteen minutes last night, before leaving with a concussion.